All New Landscape MapsTM National Forest land ownership (private in-holdings) are shown in addition to forest boundaries Updated road conditions compiled from annual Motor-Vehicle Use (MVU) data by US Forest Service BLM/State land ownership Page to page map overlap, clear legibility Recreation Guide Public Lands maps are completely updated with recreation access and point-to-point mileages Recreation listings are current and fact-checked Categorized listings include: Parks, Monuments, Natural Wonders Campgrounds & RV Parks Boating & Fishing Access Forest & Wildlife Areas Hunting Unit Map with Info Resources Idaho s boundless recreational opportunities and beautifully varied scenery comes into precise focus on every page of the Idaho Road & Recreation Atlas. Over 50,000 copies have been sold since its introduction in 2005...a level of acceptance that has made this atlas one of the most successful Idaho map products ever. The improvements in the fourth edition insure its continued success. Benchmark s field-checked Landscape MapsTM now show ground- cover detail at a very high resolution. It s easy to see, at a glance, whether an area is forested, cultivated, lava flow, or scrubland. This feature is ideal for those who want to know the most about an area before visiting. Benchmark has extensively revised the Boise area metro map and the Recreation Guide has been thoroughly updated. Additional features include page-to-page overlap, a usable GPS grid, and legendary field-checked accuracy. Rand McNally's Easy To Read State Folded Map is a must-have for anyone traveling in and around Idaho, offering unbeatable accuracy and reliability at a great price. Our trusted cartography shows all Interstate, U.S., state, and county highways, along with clearly indicated parks, points of interest, airports, county boundaries, and streets. Dimensions (unfolded): 28" x 40". Unfolded: 27 in. x 39 in. Detailed travel map - Interstates, exit numbers, highways, most local maintained roads. Topographic contours each 1,000 feet. Color shaded each 2,000 feet above 6,000 feet. Features include national forests, wilderness, campgrounds, parks, state sportsmans access sites, ski areas, mining districts, points of interest, and more. 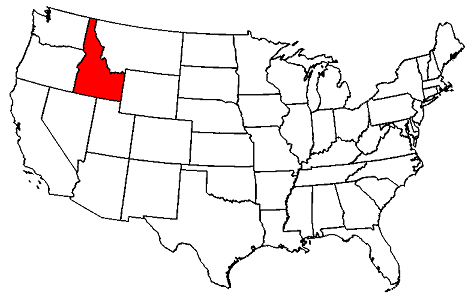 The durable and convenient Idaho EasyToFold state map will take all the wear and tear your journey can dish out. The heavy-duty laminated design allows you to mark your route, make notes, then wipe the surface clean for further use. This is a must-have for navigation whether you're a state resident or just passing through. Dimensions: 9" x 4.25" folded; 18" x 17" unfolded. 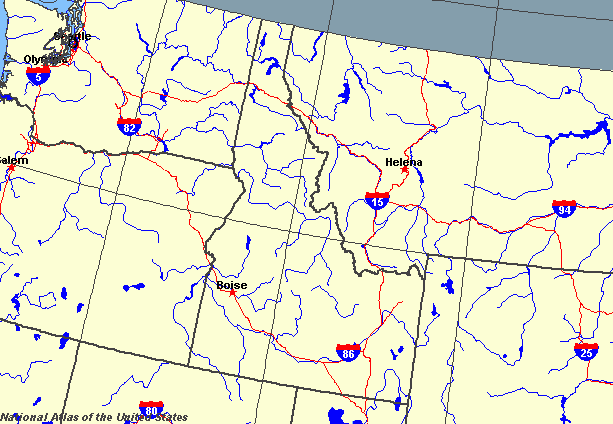 Idaho River Maps & Fishing Guide features Idaho detailed river maps and that s only the beginning. Whether you are casting from the bank or fishing from a boat, Idaho River Maps & Fishing Guide tells you where to be and when to be there. Learn the secrets of Idaho s best rivers, including the insider information you need to experience the very best fishing Idaho has to offer. With each printing, we strive to update with the current information. First Printing 2010. Revised & re-sized in 2015. Wouldn t it be nice to always have exactly the right kind of map, whatever your needs may be? You will, with the uniquely versatile DeLorme Atlas & Gazetteer Series. These topographic atlases cover individual states with the most comprehensive detail available, including back roads, backwater lakes and streams, boat ramps, forests, wetlands, trailheads, campgrounds, public lands, prime hunting and fishing spots, and countless landmarks and points of interest. You ll also find a wealth of information on everything from family outings to wilderness adventures. The Atlas & Gazetteer is ideal for outdoor recreation, business travel, home or office reference, and countless other uses. A package of 5 black & white maps of historic and current Idaho. Shown on the maps are early towns, military roads, stage stations, and early forts. Map 1 side 1 Idaho 1879, side 2, Idaho 1883. Map 2 side 1 Idaho 1895, side 2 Idaho 1912. Map 3 northern Idaho 1895 with overlay of current road system. 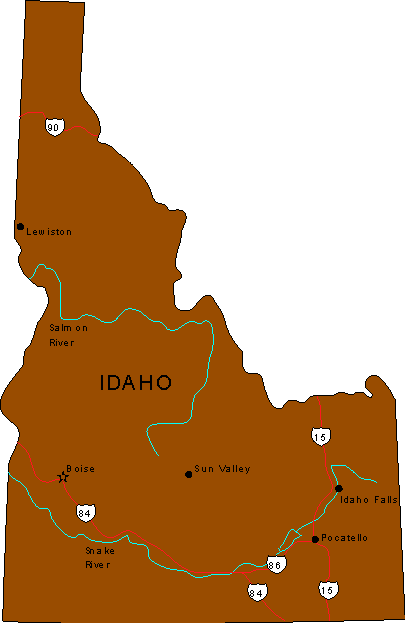 Map 4 is southwest Idaho 1895, with overlay. Map 5 is southeast Idaho 1895 with overlay.